Obsessed By Beauty: The Strangest Lip Balm Ever?! The Strangest Lip Balm Ever?! I was perusing the aisles of Space NK in Manchester today & was feeling a little lack luster as nothing was grabbing me & i didn't want to buy anything, i must be ill! Plus they didn't have the Shu Uemura Gel liner that i wanted, the sales assistant didn't know anything about it the rooky! Anyway i was just about to leave & i spotted these colourful round containers at the counter & discovered this lip balm by EOS. 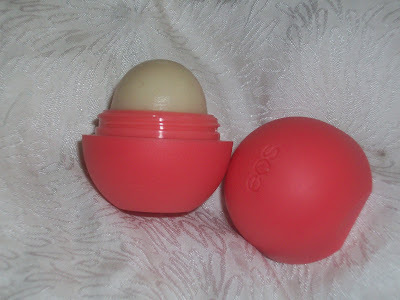 I twisted off the cap & i was fascinated by it, unlike being a pot of lip balm its a stick of balm in a rounded shape! it smells amazing, i got the summer fruit kind which smells of sweets, there was also honeysuckle honeydew & sweet mint varieties. 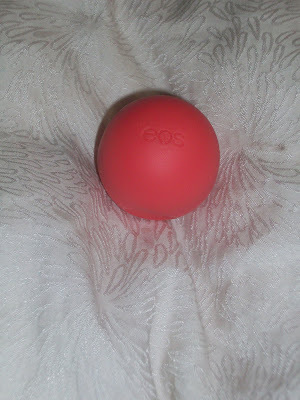 When i got home i did some searching on the internet for the company, and found that EOS stands for the Evolution Of Smooth and the balm which is called a smooth sphere is 95% organic and petrolatum & paraben free. INGREDIENTS: Cocos Nucifera (Coconut) Oil*, Olea Europaea (Olive) Fruit Oil, Beeswax (cire d'abeille)*, Simmondsia Chinensis (Jojoba) Seed Oil*, Mentha Piperita (Peppermint) Oil*, Butyrospermum Parkii (Shea Butter)*, Stevia Rebaudiana Leaf/Stem Extract*, Tocopherol. I think you would all agree good stuff there! & best of all i love it, it will seriously be gone in a few days because i can't stop applying it! its so different from a balm that you apply with your finger, which is brilliant as i've just had my gel nails put on so cant use one that i have to apply with my finger as it'll go down my nails! ick! Its really light which is what i like in a lip balm, the main reason i dislike The Body Shop lip butters is because they're so thick i feel like i've got lard on my lips whereas this just makes them feel lovely, so far its very moisturizing & if you want a full review once i've tested it out properly just ask! You can get it from Space NK for around £5 but its had the VAT reduction deducted so a random price at the moment!! Hope you're having a lovely week!! & if you've got any questions or requests or anything just holla!!! love you all & i'll see you soon! Oh wow! 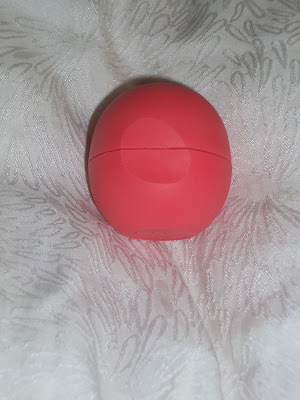 Im a sucker for any sort of lipbalm so this is a must for me! I love the look of it. i JUST bought these because I saw your review and i LOVE LOVE them. It makes it so much better when you realize they are organic too! Love the packaging of course, very similar to the discontinued lancome baume baiser.